Axe is one of the most trusted and recognized bat manufacturers in the baseball and softball world. The company is known for constant innovation and has led the way for ergonomic handle designs. Axe bats are wielded by many popular names in both baseball and softball matches. Based on expert advice and player feedback, we have shortlisted some of the best bats from Axe. 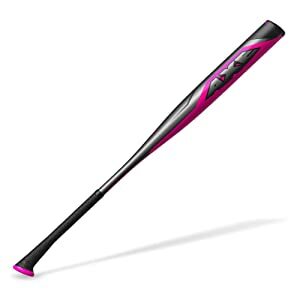 Below are 4 best 2019 Axe bats reviews. 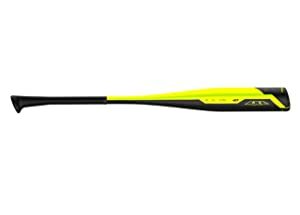 The Axe 2019 Elite One Hyperspeed is a high-performance alloy bat that is perfect for a power hitter. Axe has used premium-grade MX8 alloy in the construction of this bat. The bat features a single-piece design overall which allows a player to channel explosive hitting power into the barrel. The barrel has been heat-treated by Axe which adds to its strength and pop. Hyperspeed is hot right out of the wraps which means that you don’t have to wait for a break-in period. The barrel is sized at 2 1/2 inches and comes with a HyperWhip Cap. The composite cap ensures that the overall feel of the bat is perfectly balanced. 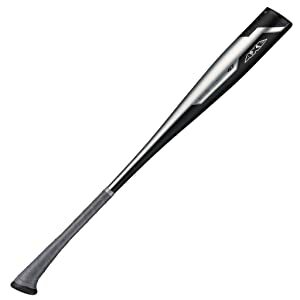 Axe has used Vibration Cancelling System in the construction of this alloy bat. This technology ensures that any feedback vibrations from the alloy barrel are suppressed and mitigated. As a result, players experience a smoother swinging and hitting experience when using this bat. The bat is approved for use in a wide range of leagues including Dixie Youth, Pony, Little League, Babe Ruth and AABC. 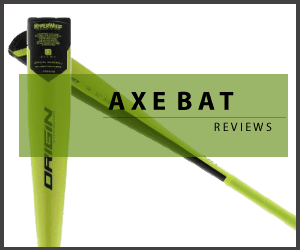 Axe Bat 2019 Origin is another excellent USSSA bat for baseball players. Compared to Elite One Hyperspeed, this bat features a larger barrel sized at around 2 3/4 inches. The barrel has a 270-degree contact area, so you can essentially hit with any side of the barrel. The bat has a single-piece alloy construction which makes it a formidable hitting force for players who rely on their own force. Axe has used LP1 alloy in the construction of the bat. This reinforces the bat and adds to its long-term durability. The bat is equally perfect for contact hitters as it has an incredibly light-weight profile. With a sizable barrel and a large sweet spot, contact hitters can easily use this bat for some accurate hitting around the field. The handle in 2019 Origin utilizes Endogrid technology. This ensures that little to no negative feedback reaches the bottom hand when hitting with the bat. Origin has a weight drop of -10 and is approved for use USSSA play with a 1.15 BPF certification. If you are looking for the perfect wood bat for high-performance softball hitting, this bat is a great choice. The Axe Adult Pro comes constructed from a single piece of pro-grade maple hardwood. The single-piece construction offers a lot of pop and exceptional durability. 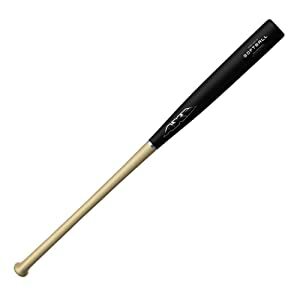 The barrel of the bat is sized at 2 1/4 inches and has a sleek black finish. It is specifically manufactured with a softball profile to ensure maximum speed and power. For the right player, this bat delivers consistent performance on the plate. The bat has a weight drop of -5 and carries ASA stamp. It features the patented Axe handle with its unique, ergonomic design which allows for a more comfortable and intuitive swinging. If you are looking for a classic look and design, combined with optimal hitting performance for softball, this bat is an excellent option. A number of Axe bats are endorsed by the famous players in various categories. This particular bat carries the endorsement of the college-level star Danielle Lawrie. And for good reason. This bat is specifically designed for fastpitch hitting. It has a single-piece alloy construction. Performance LP1 alloy has been used in making the bat. This particular variety of alloy brings added strength, pop and performance to the bat’s barrel. It also enables Axe to deliver a larger barrel with a massive sweet spot for easy and accurate contact on the plate. Like many other bats, Axe has used its trademark Hyperwhip end cap at the barrel tip. This end cap reduces the weighty feeling from the barrel and helps hitters control the bat more precisely. Danielle Lawrie bat has a weight drop of minus 12. It is available in a number of length options including 28 inches, 29 inches, 30 inches, 31 inches and 32 inches with corresponding weight options of 16 ounces, 17 ounces, 18 ounces, 19 ounces and 20 ounces. Despite its alloy make, the bat has significantly reduced feedback vibrations. This is largely thanks to the Endogrid technology that has been used in the handle. 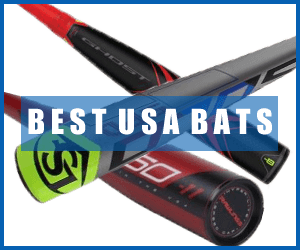 The bat is certified and approved for use in ASA, USSSA, ISF, NCAA, ISA, NSA and NFHS matches. Axe is not a new name in the baseball and softball manufacturing industry. The company has been around long enough to garner trust among customers around the world. Its bats are known for delivering quality and performance at a very suitable price tag. The list above features some of the best bats the company has to offer. These are all alloy bats, and we have ensured that they include bats suitable for both power hitters and contact hitters. You can’t go wrong with these bats as they are perfectly designed and manufactured for optimal performance. If you are looking for quality Axe alloy bats, look no further. We promise that these bats will serve you in good stead.